The second-generation Moto 360 is still a solid Android Wear offering, even if it's getting a bit long in the tooth. However, this 15-month old device will remain as the most recent Moto smartwatch for the foreseeable future, as a Moto exec confirmed today that no new smartwatch has been planned for Android Wear 2.0's release. According to Shakil Barkat, Motorola's head of global product development, a new 360 isn't being pursued because they don't "see enough pull in the market to put [a new smartwatch] out at this time," indicating that Android Wear is getting a bit too unexciting. Barkat continued to say, "Wearables do not have broad enough appeal for us to continue to build on it year after year." He also said that Motorola's annual device roadmap would not contain any wearables, including smartwatches. 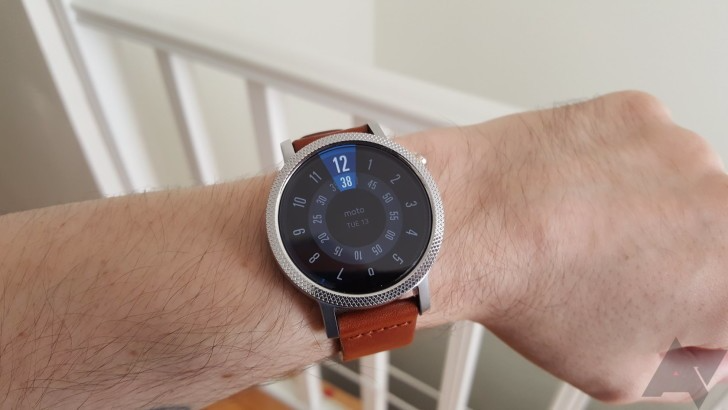 Should Android Wear or the entire smartwatch game progress more significantly, Moto could return to making smartwatches. Regarding this, Barkat said, "We believe the wrist still has value and there will be a point where they provide value to consumers more than they do today." The smartwatch market clearly isn't doing too well if Motorola, one of the pioneers of Android Wear, is dropping out of it. Earlier this year, Motorola and a few other popular OEMs stated that they wouldn't be releasing any more Android Wear-powered smartwatches in 2016. Non-Android Wear smartwatches are being affected too; just yesterday, we heard rumors that Fitbit would be acquiring Pebble and phasing out all of Pebble's existing products.